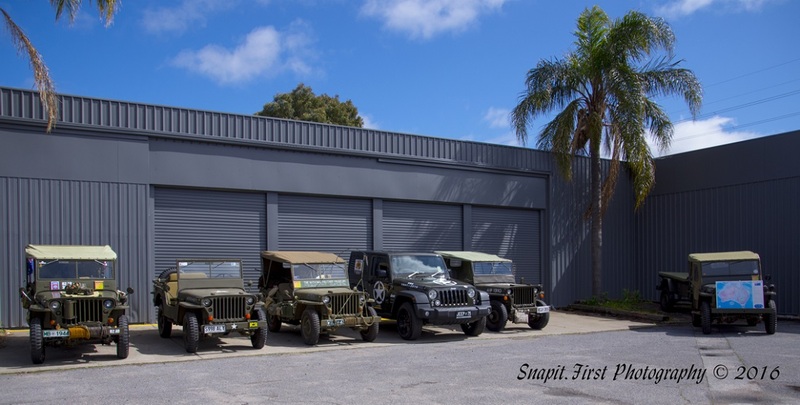 On Saturday Jeff Pinney and a team of Jeep owners that are members of the Museum attended a promo at Newspot Motors on Main North Road along with their vehicles that were on display. The reason for the visit was to help the car yard advertise and to also promote our 75th Jeep Anniversary Family Fun Day that will be open to the general public on Sunday the 9th of October. There will be plenty of activities to see and do on the day. To make the visit a little more interesting we will have a number of vehicle rides from Terry’s 1953 Avis Saracen Mk 5 APC, Weapons Display, 25 Pounder Field Gun Firing, Vehicle Manoeuvres, Weapons Simulation, Music and much more. There will also be food and drinks available, with free parking on the day. This entry was posted in In the Community and tagged Slider.